Audio Book CD - Don Quixote, Volume 1 by Miguel de Cervantes Saavedra (1547-1616). Translated by John Ormsby (1829-1895). 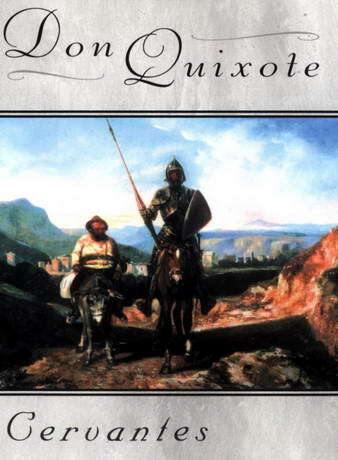 Audio Book CD - Don Quixote, Volume 1 (Audio Book) by Miguel de Cervantes Saavedra (1547-1616). Don Quixote is an early novel written by Spanish author Miguel de Cervantes Saavedra. Cervantes created a fictional origin for the story in the character of the Morisco historian, Cide Hamete Benengeli, whom he claims to have hired to translate the story from an Arabic manuscript he found in Toledo’s bedraggled old Jewish quarter. The protagonist, Alonso Quixano, is a minor landowner who has read so many stories of chivalry that he descends into fantasy and becomes convinced he is a knight errant. Together with his companion Sancho Panza, the self-styled Don Quixote de la Mancha sets out in search of adventures. His “lady” is Dulcinea del Toboso, an imaginary object of his courtly love crafted from a neighbouring farmgirl by the illusion-struck “knight” (her real name is Aldonza Lorenzo, and she is totally unaware of his feelings for her. In addition, she never actually appears in the novel). Published in two volumes a decade apart, Don Quixote is the most influential work of literature to emerge from the Spanish Golden Age and perhaps the entire Spanish literary canon. As a founding work of modern Western literature, it regularly appears at or near the top of lists of the greatest works of fiction ever published.